We at The Raspberry Heights Workshop are very proud to announce our featured student. Meet Sofia. She’s a true maker at heart. Sofia is a real star. We love when students challenge themselves to remix the projects we do in class. 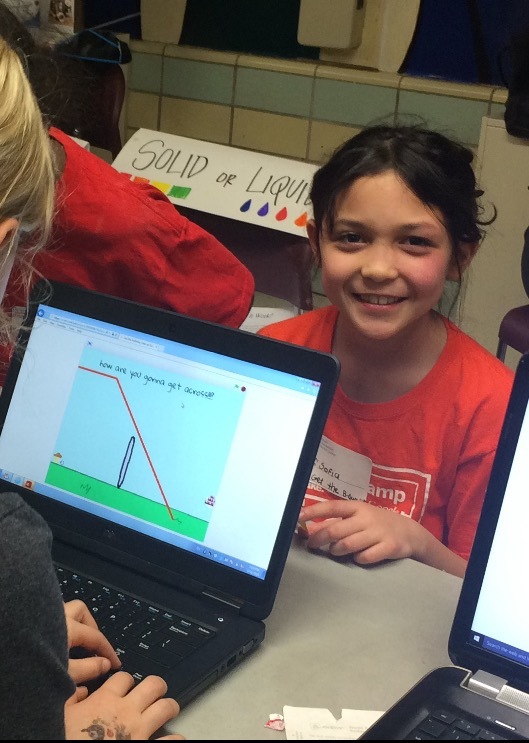 When Sofia remixed her race car game using Scratch, the whole class wanted to add her cool feature. She is a real inspiration. Her parents tell me she is self motivated, and continues to teach them what she is doing as she goes along. Most importantly, she loves what she is doing and has fun with it. Not only has Sofia been attending The Raspberry Heights Workshop for two months, she also created a game “Get The Birthday Cake” for her school Maker Faire. For earning the Featured Student spot Sofia will receive a Raspberry Pi camera module. Congrats Sofia. Keep challenging yourself and inspiring others. This entry was posted in class, raspberry pi, students. Bookmark the permalink.